A few years ago, there was a lot of discussion on the status of feral swine in Ohio. Although the talk may have settled down, I’m sure that the hogs haven’t disappeared. Just a few days ago, the National Pork Producers Council announced it was pleased with the House version of the 2018 Farm Bill, which also includes funding for feral swine eradication. So what exactly are feral swine (aka wild pigs, razorbacks, feral hogs, wild hogs, wild boars, etc.)? For starters, they are the same species as those pigs found on a farm, and are descended from escaped or released pigs, are unrestrained, and adapted to living in a wild or free-roaming environment. While the definition of “feral swine” may vary from state-to-state, a free-roaming pig without obvious proof of ownership is usually considered feral (prior to the introduction of fencing, many farmers allowed their pigs to roam wild and would gather them up as needed). I have heard them called “nature’s rototillers” and that description of their rooting and wallowing activities is pretty accurate. They are a perfect invasive species: as omnivores they can eat nearly anything, they reproduce in great numbers, and they are large enough and strong enough that there isn’t much (other than humans) that can prey on the adults. Wild pigs compete directly with native wildlife for habitat and food, and also prey upon native wildlife including amphibians, reptiles, small mammals, and eggs and young of ground-nesting birds. Their rooting and wallowing also leads to soil erosion. Feral swine also carry parasites and diseases that can be transmissible to people and domesticated animals. They affect farmers by devastating crops, pastures, orchards and vineyards. Even suburban areas like cemeteries, golf courses, landscaping, and parks are not immune to the destructive animals. According to most accounts, Spanish explorer Hernando de Soto brought pigs to North America in 1539, and they have been here ever since. The U.S. Department of Agriculture estimates there are 5 million feral swine in at least 39 states; the cost of controlling them and the amount of damage they do is about $1.5 billion annually, which explains why the NPPC is happy about the House version of the next Farm Bill. Although the exact number of feral swine in Ohio is unknown, in 2016 the number of hogs was estimated at fewer than 2,000. My first experience with them was several years ago when then-Meigs County wildlife officer Josh Shields and I went out to investigate a report of a wild pig killed on the highway near Middleport. Upon further investigation it was a very large, dark, pot-bellied pig, so we discounted it as a legitimate feral hog and just assumed it was an escapee (or a very large pet) that got hit by a vehicle. What neither Josh nor I realized at that time was that feral hogs can be of any porcine species, so by definition it was a feral swine. In any event, there were no more sightings in that area. 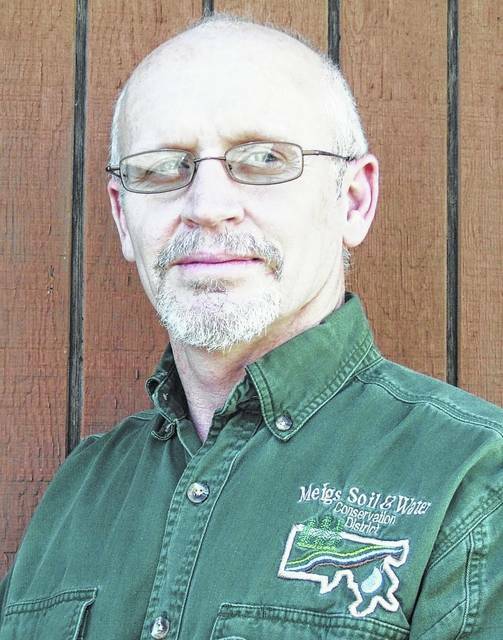 In 2010, the Meigs SWCD invited Craig Hicks, former wildlife disease biologist for the National Wildlife Disease and Emergency Response Program of USDA-Wildlife Services, to address the Meigs SWCD annual banquet and speak about feral swine. At that point, there were no confirmed sightings of the pigs in Meigs County, although they had been confirmed in every county surrounding Meigs County. Two years later I worked with Hicks on a reported sighting in Meigs County’s Salem Township; there was some evidence that feral swine could be present, but we were unable to get photographs or to confirm their presence. Since then there has been little noise about feral swine in Meigs County. Perhaps they are out there, but people are handling them on their own. So what is a person to do? Here in Ohio, hunters and others are encouraged to report feral swine sightings to the Ohio Division of Wildlife at 1-800-WILDLIFE (1-800-945-3543), wildinfo@dnr.state.oh.us, or via the online Wildlife Species Sighting Report page. Ultimately in Ohio the goal is to remove these destructive animals from the landscape, with the idea that hunters opportunistically harvest them while hunting other species, or through agency-sponsored eradication programs. In Ohio there are very few restrictions on the killing of feral swine – they have no bag limit and no closed season (you must possess a valid hunting license). Rifles and night vision scopes are legal for feral swine hunting; however, rifles and night hunting between 30 minutes after sunset to 30 minutes before sunrise are prohibited during any deer gun and deer muzzleloader seasons. If hunted during the deer gun season, hours and legal hunting devices are the same as for deer gun season. So even though there hasn’t been a lot of attention paid to feral swine here in Ohio the past few years, you can bet that they are still around.